With carefully placed outdoor lights, you can enjoy the ambiance of your garden into the evening. This blog posts features one of our most recent new listings. This home has a beautiful exterior with so many wonderful features, the landscape lighting highlights all the greatness this home encompasses. Check it out along with some great lighting tips! How do you create a yard that’s light years ahead of others? One way is to make the space usable at night. Since many people work or play till long after the sun goes down, they often don’t have time to enjoy their backyard until the evening hours. Add outdoor lighting, and your garden is immediately transformed into usable space. “Most people don’t realize this, but the backyard is a whole new room that they haven’t explored fully,” says outdoor lighting designer Michael Sestak. “You have the option to go beyond that light bulb at the doorway.” Good lighting can bring Zen-like qualities to any setting. You can rediscover the perimeter of your property, make it fun to entertain and highlight points of interest, such as sculptures or fountains. 596 Crowfield Circle has a welcoming back yard with an amazingly designed outdoor space, you’ll feel like you have extra living space with this area! Another oasis in the backyard to sit and relax with friends, the simple garland style lights adds yet another small touch of coziness. The ground lights featured in the perfectly manicured flower garden highlights the exquisite plants you’ll see throughout the landscaping. When choosing landscape lights for your home, it’s best to go with what works with your landscape and what you are wanting to highlight. No matter what you choose, highlighting your home will be a sure way to interest potential buyers if you’re trying to sell your home. 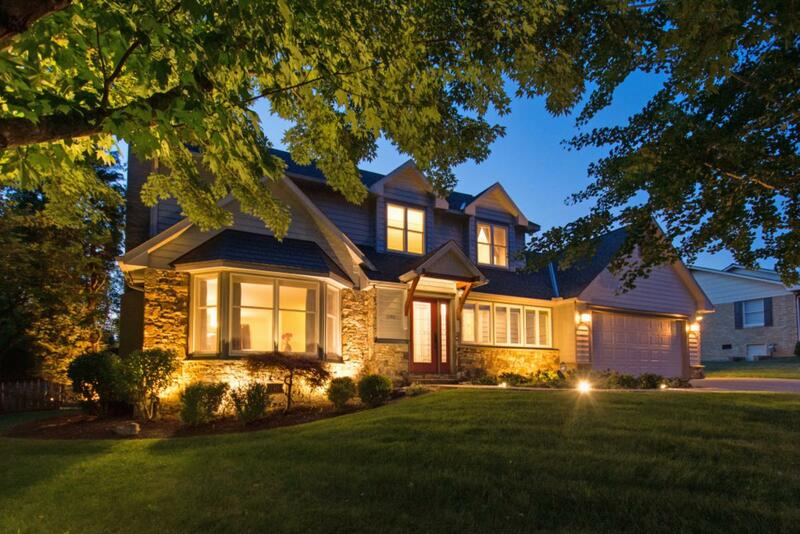 Landscape lighting can also help with security of your home!